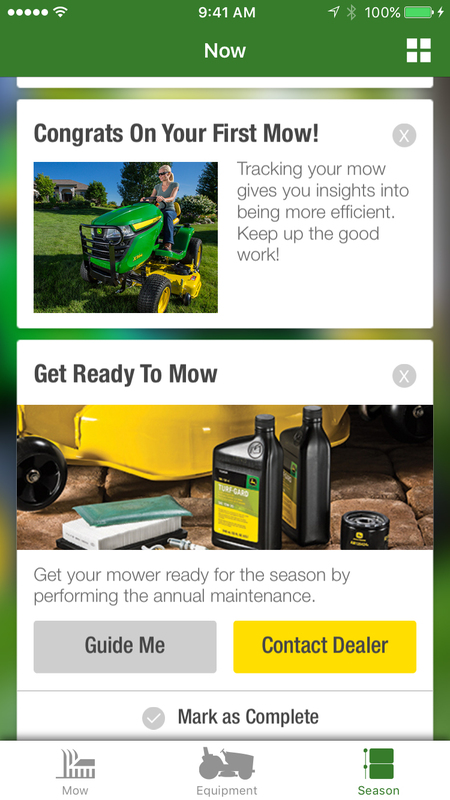 This spring, John Deere is helping homeowners keep track of and optimize their lawn care responsibilities with the new MowerPlus smartphone application. This free app provides equipment care tips, maintenance information and other resources to ensure that homeowners feel confident maintaining a great looking lawn. 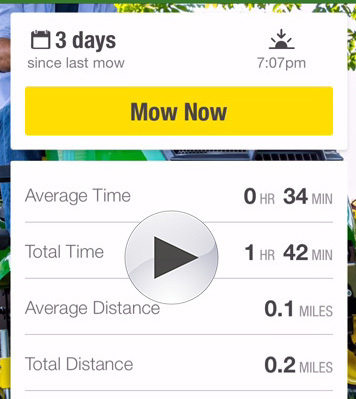 The iOS version of MowerPlus allows the user to “Mow Now” and track mowing metrics. 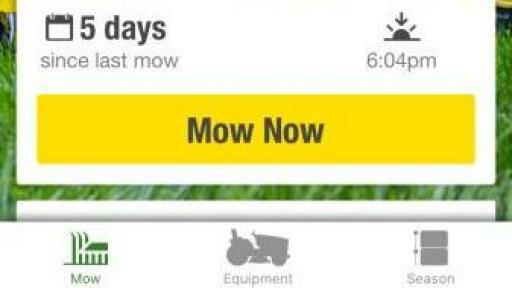 Users can view a summary of the current mowing session with average speed, area covered and other real-time statistics. Additionally, an aerial view of the mowing path for each session can help homeowners diversify their pattern to protect turf health. 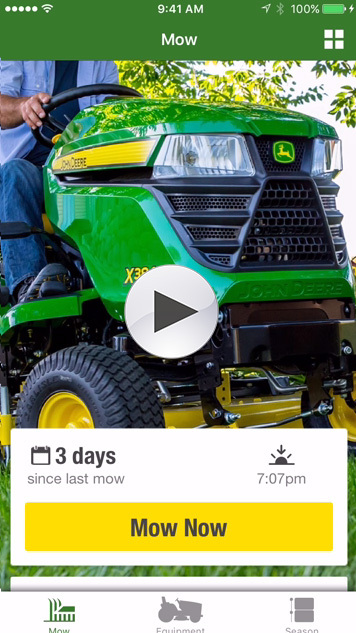 The app also lets homeowners know how long it has been since they last mowed. 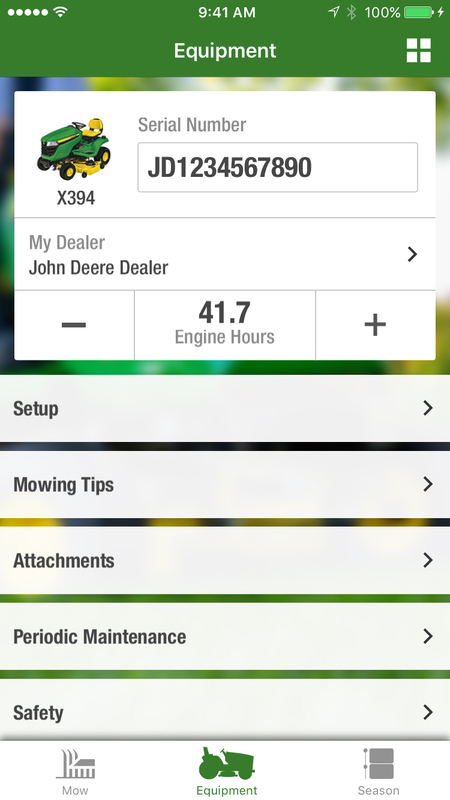 The MowerPlus app features an equipment tab, which John Deere owners can use to identify and store the make, model and serial number of their John Deere equipment, and pull up maintenance and service recommendations based on that model. Generally, the app can be used for any brand and model of equipment. To assist with equipment upkeep, the app can be used to track usage hours and maintenance intervals, and provides service tips for proper care of equipment. 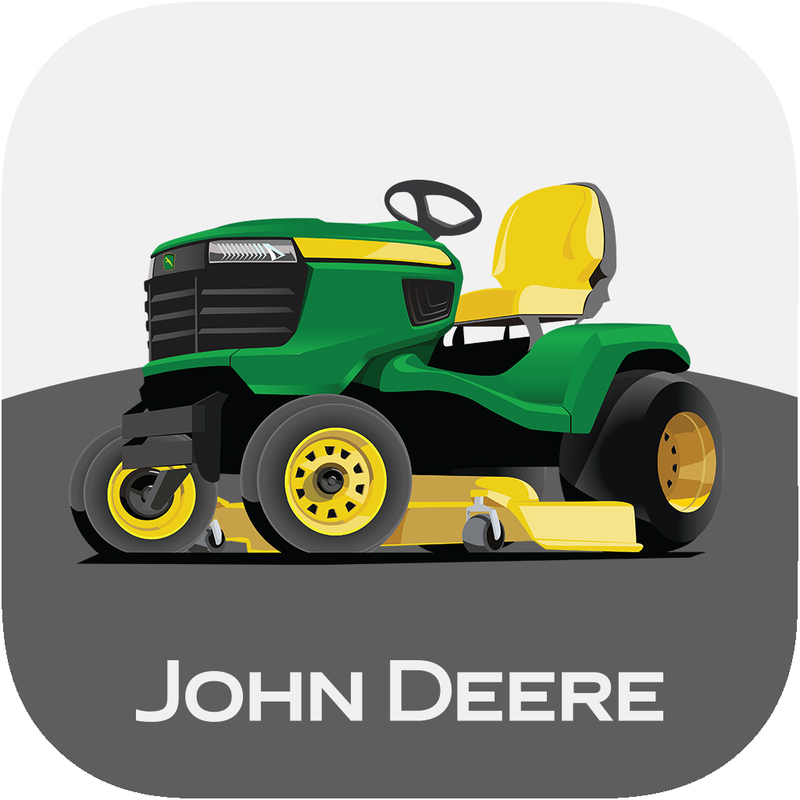 The MowerPlus app also offers step-by-step instructions for simple fixes, and, with a single touch, homeowners can contact their local John Deere dealer. 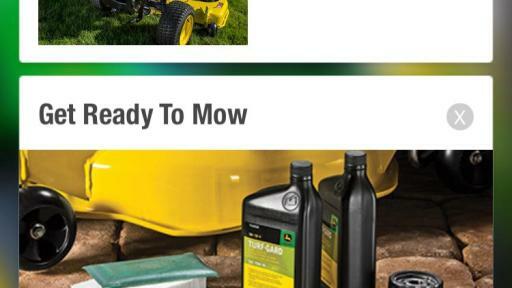 MowerPlus also offers a region-specific seasonal timeline that feeds timely, climate-relevant tips and reminders year round. 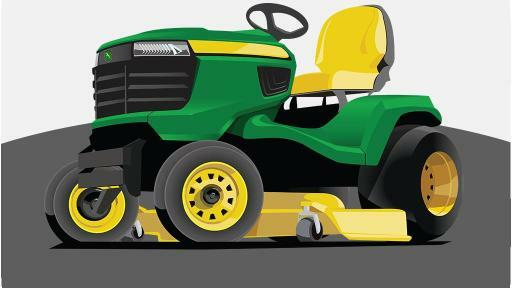 Mowing history is stored in the feed, and users can add missed mows, maintenance and other tasks, such as fertilizing, seeding or aerating for comprehensive lawn care documentation. 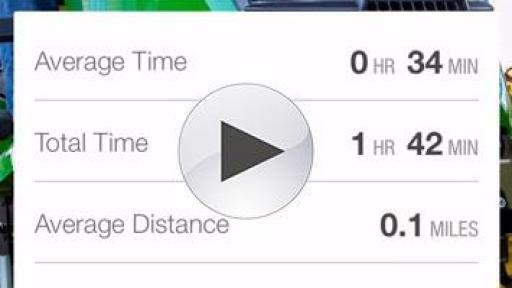 The MowerPlus app integrates seamlessly with the Apple Watch, which owners can use to easily identify the number of days since they last mowed and the sunset time to quickly decide if they can fit in a mow before dark. 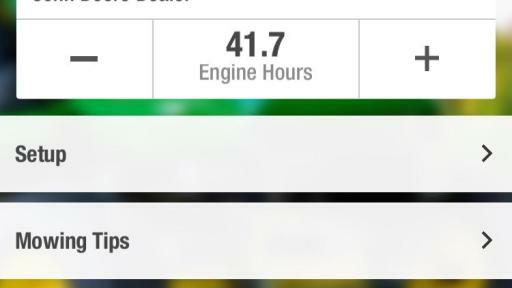 Additionally, users can start and stop recording a mowing session from the watch and automatically sync statistics with the app. 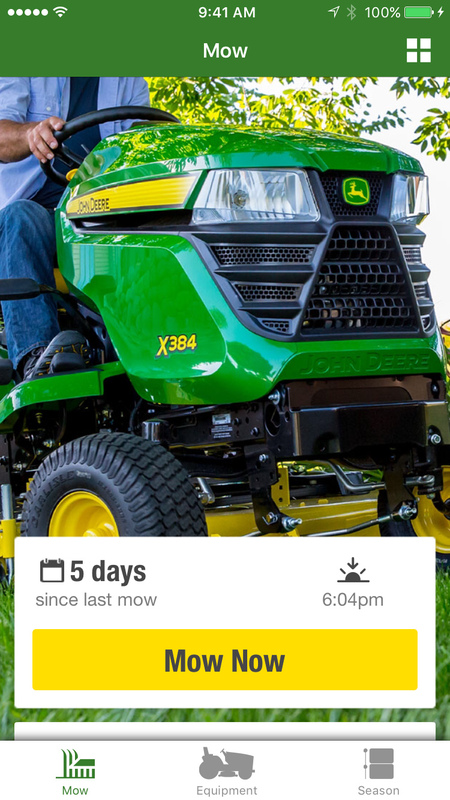 The Android version of MowerPlus includes model-specific information on set-up, maintenance, and operation of your mower. It also provides areas to store important information such as serial number and dealer contact information. To download, visit the iTunes App Store or Google Play. 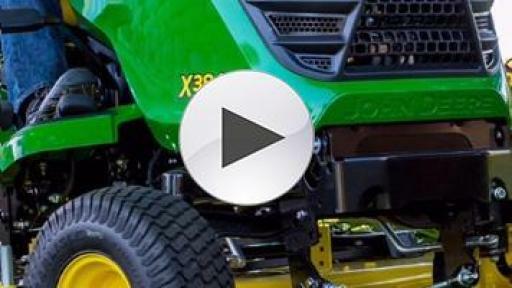 For more information about John Deere’s residential mowing products, visit JohnDeere.com/Residential2016.